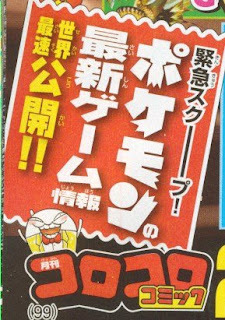 Shougakukan publishes the magazine Bessatsu (brother magazine) CoroCoro February volume on 29 December 2011. In the featuring page of Pokemon movie 15 Kyurem VS The Sacred Swordsmen, there are noteworthy captions. 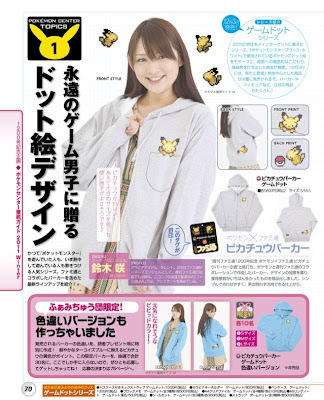 Thanks for the scanning to 2ch Pokemon Anime#124 thread. キュレムに隠されたナゾとは !? Meaning :What the hiding mystery of Kyurem !? キュレムのまだ見ぬ力が明らかになる !! Meaning : Going to reveal Kyurem's unseen power !! Is it pre-announcement of Kyurem new form ? Many topics have not clarified yet at the moment, Kyurem, Keldeo, movie location and the new games. AAPF will deliver the hot news to you 2012 as well, of cause main pillar is the merchandise info as usual. Thank you for visiting AAPF and coming back. May your New Year 2012 bring you much joy and happiness. 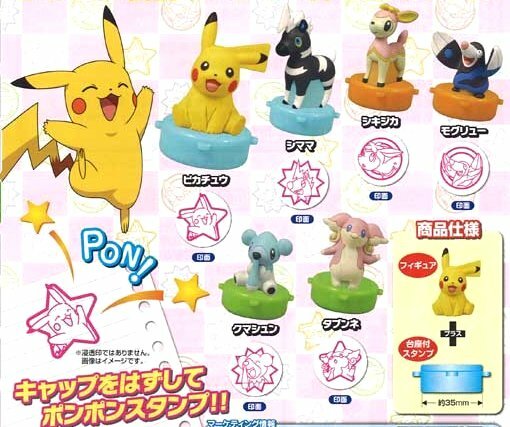 Ensky will release Pikachu Jigsaw 3D Puzzle 'KumuKumu Puzzle' on 25 March 2012. Same type as like that. Will upload the image later. 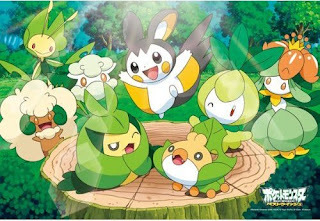 The following Pokemon BW Jigsaw puzzles has been released in December 2011. 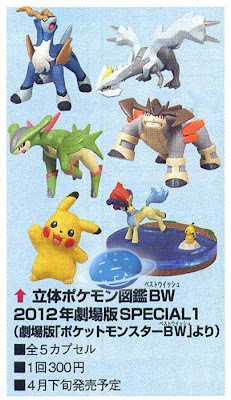 Here is a list upcoming Pokemon merchandise from Takara Tomy ARTS (TTA) in January to April in 2012. Release summary 2012 list is also updated. Candy toys, 10 lines as follow. Candy Toys, Moving to forward adn turning by clockwork, Size 55mm. As for previous lines, please refer to these articles. 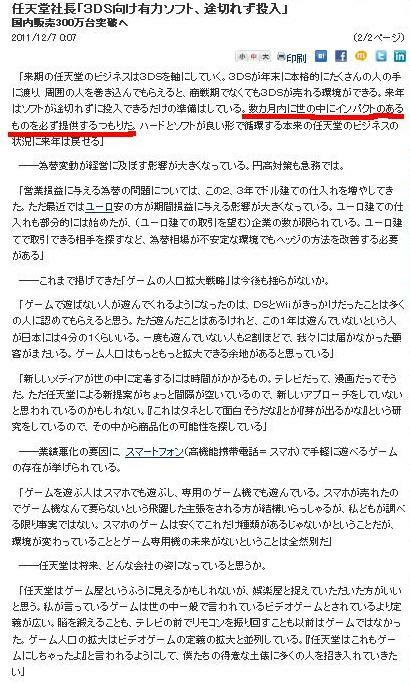 Thanks for the temp pic to Otakuboshi.com and ccwshuan's blog..
As for previous lines, please refer to these article BW1 and BW2. Please note the stamp EXCLUDES the inks. 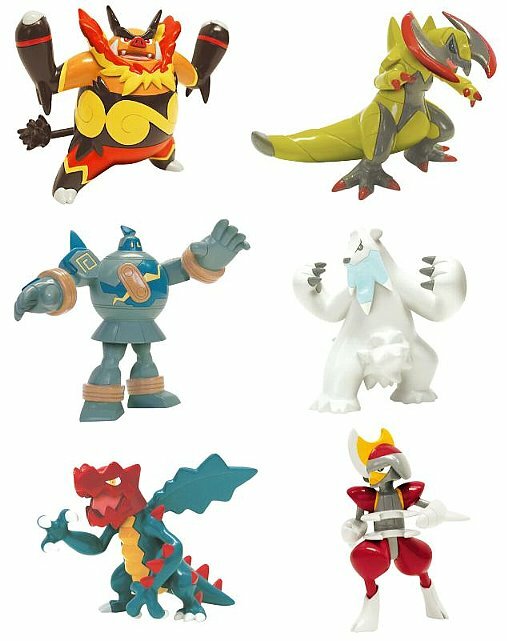 As we reported on 51th All Japan Model & Hobby Show, Bandai will release Pokemon Plamo Selection Series No.23 Cobalion on 25 March 2012. PokeCenJP releases every Pokemon Metal Charms Evolution set today. 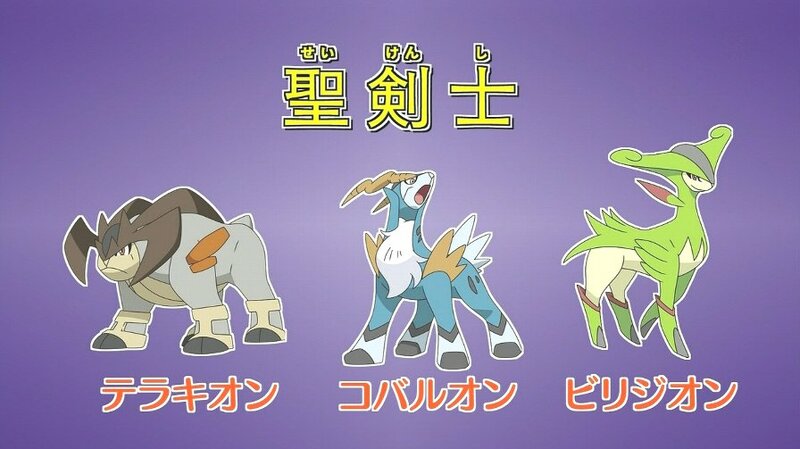 It is Kanto Pokemon (Generation I ) and related evolutions, 78 lines. Details as follow. 2nd release: 14 January 2012, 3rd release : 4 February 2012. Bandai releases Pokemon Christmas cake BW 2011 version, includes Pikachu/Oshawott figures (ornament : figure can be moved on the stage by manual) and Snivy/Tepig plate. Cake's Diameter : 15cm. Order already has been finished. Other cake version "Special Day" will be available on 11 January 2012, includes Pikachu/Oshawott figures. 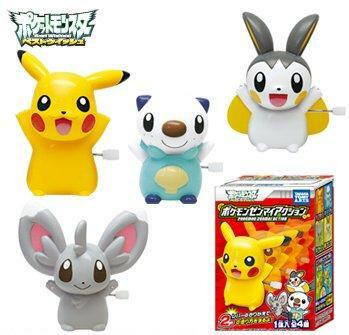 PokeCenJP will release the following canvas plush on 14 January 2012. 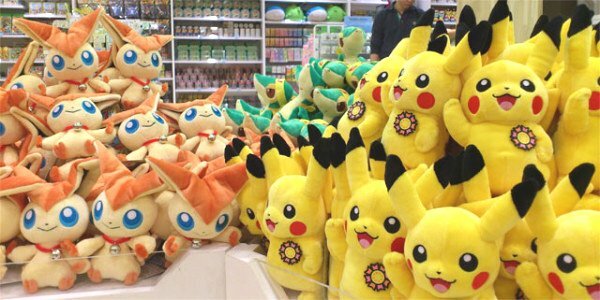 As for recently releasing canvas plush and other items, please refer to this article. Replaced the images to more clear in the following articles. Takara Tomy Arts (TTA) will release the following Pokemon Pose Figure W (double) on 30 January 2012. It contains 2 figures (parts movable). As for previous released lines, please see these articles. Uploaded/replaced the images in the following articles. 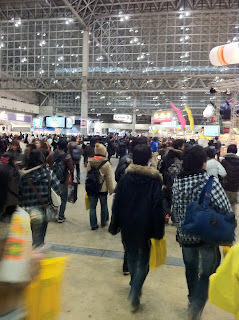 AAPF visited to Jump Festa at Makuhari Chiba today. Reporting it here. Title : 'ポケモン + ノブナガの野望' Pokemon Plus Nobunaga's Ambition. Ultra heavy, uploaded to other page, access this page. 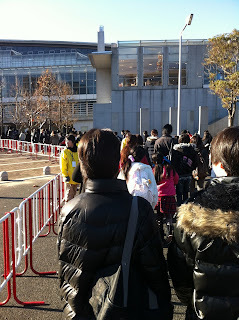 As for General info and PV, please check this page. If want enlarge, click the image. 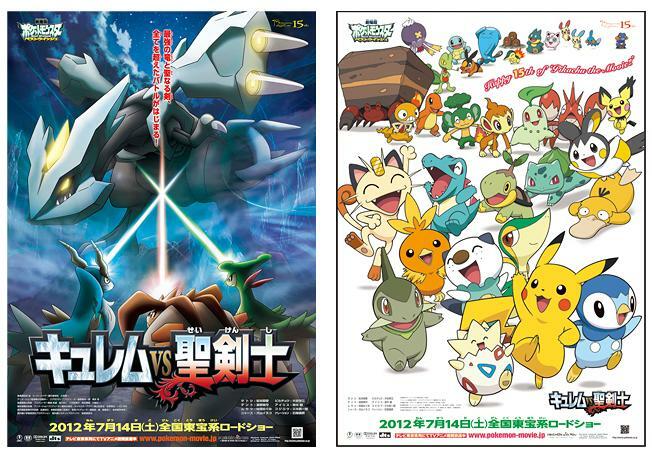 Pokemon Official site releases the 2 posters and banner of movie 15 'Kyurem VS The Sacred Swordsmen' today. Movie official site will update the contents tomorrow. 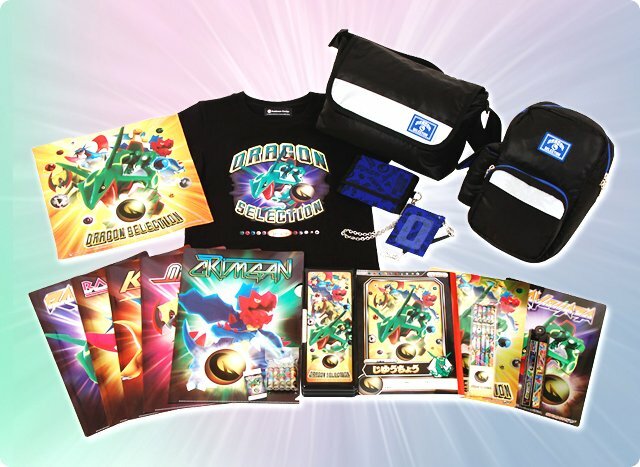 2012 is the year of the dragon in Asian zodiac. 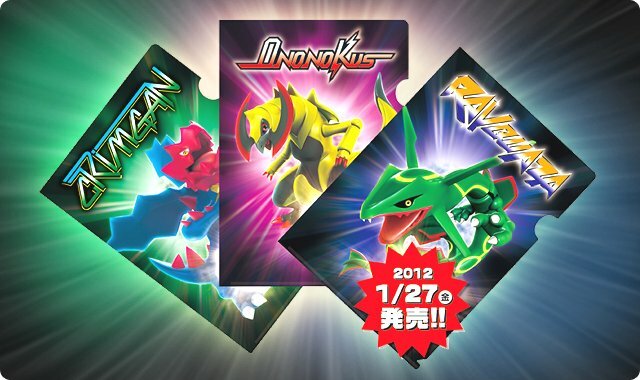 TCG Dragon Selection will be release, also stationary and other items from PokeCenJP on 27 January 2012. Will upload the some pages later. Seven Eleven JP will starts Pokemon TCG promotion on 16 December 2011. Give away the following Pokemon paper mask. 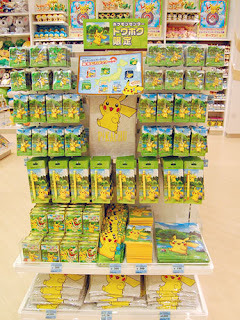 Buy Pokemon TCG (any TCG lines) or Hot Snack at SevenElevenJP, give you a serial number per \200. Movie film production and distribution company Toho announces the lineup of 2012 movies to be released in 2012 today. 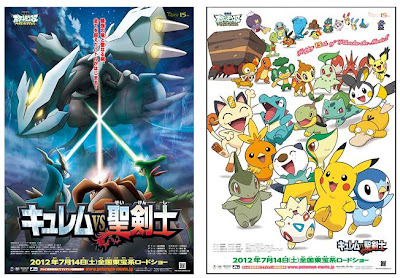 Pokemon movie 15 'Kyurem VS The Sacred Swordsmen' is included of couse, cast and eye catch copy as follow. What is the true courage ? What is the friendship ? New adventure and emotion await you ! Reposting yesterday's article with additional info. According to @pokemon_memo, the new Pokemon game latest info will come in CoroCoro Feb magazine. 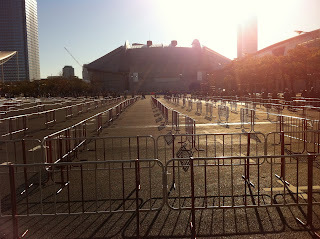 (Publish on 14 Jan 2012). It means there is low possibility to announce new game at Jump Festa. Thank you for tweeting the game info. Above image from @karubiimunomono, thank you for the sharing the page. BTW, what do you think the logo font in the above image, something remember ? 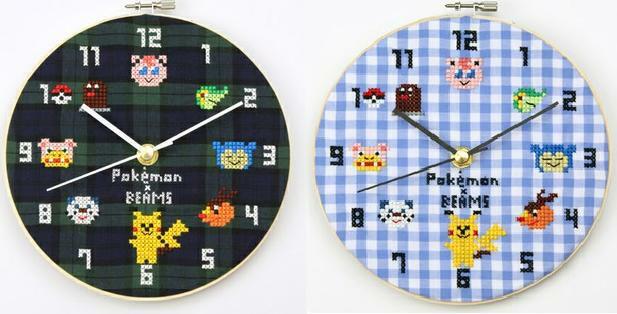 Here is the logos of some Pokemon games. 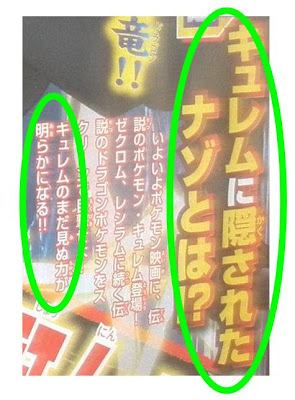 According to @pokemon_memo, the new Pokemon game latest info will come in CoroCoro Feb magazine. (Publish on 14 Jan 2012). I will upload the related page of it tomorrow. 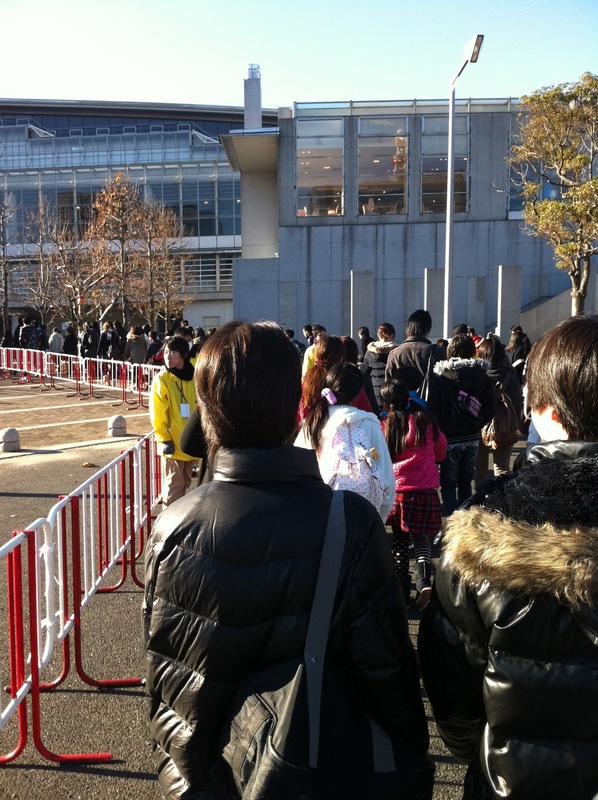 It means there is low possibility to announce new game at Jump Festa. 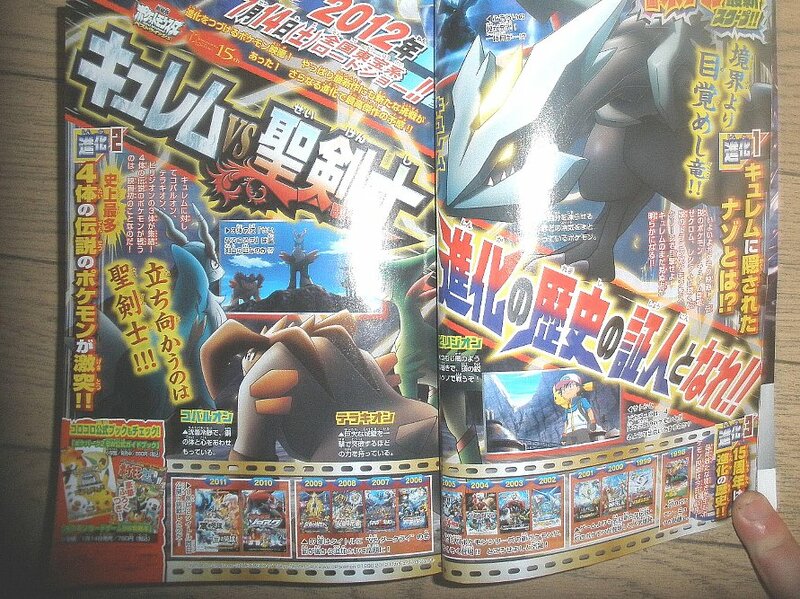 This article has been re-posted with additional info, please see New Game info comes in CoroCoro Feb#2. Pokemon Movie, Battolio, TCG and PokePark 2 images from CoroCoro Magazine January 2012. 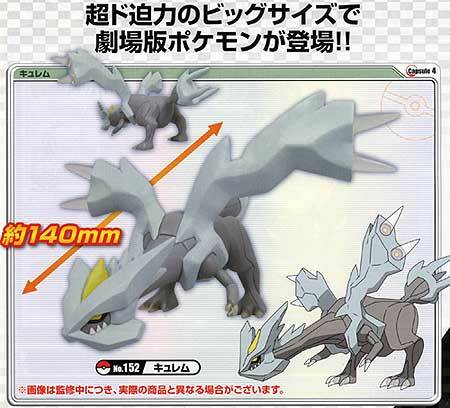 Description Kyurem part :Appearing from the ice !? Description Virizion part :To use Sacred Sword prove them the Swordsmen !? 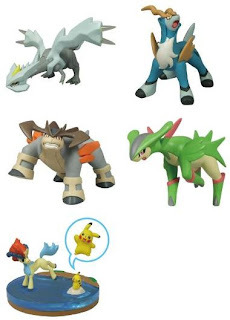 Description Terrakion part : Something may happen amang Cobalion Terrakion Virizion and Kyurem !? As for the new game and upcoming Jump Festa, confirmed no info in the pages. 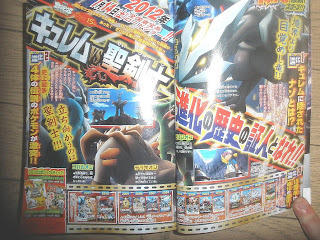 News from CoroCoro Magazine January 2012 or Pokemon Fan Vol.20. 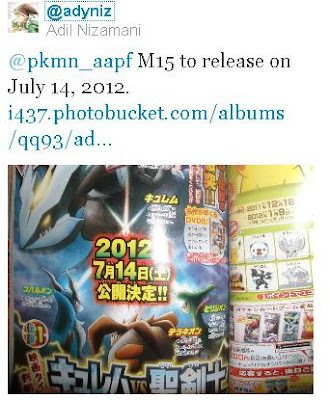 Pokemon Movie 15th 'Kyurem VS Sacred Swordsmen' release date is 14th July 2012 in Japan. 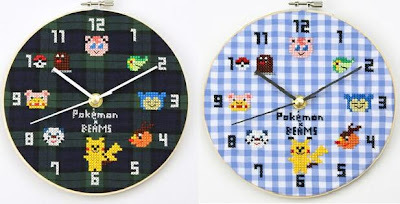 Images for Pokemon Kids are replaced the in the following articles. Uploaded / replaced the images in the following articles. Pokemon Movie 15th Kyurem VS The Sacred Swordsmen : Confirmed that what Pokemon are swordsmen. Title and logo of Pokemon movie 15 'Kyurem VS The Sacred Swordsmen' are revealed. Here is the analyzing of logo design. File name of logo in the official site is 'teaser_logo_window.jpg'. It means that the logo today revealed is not final, using teaser promotion. The title and logo will be updated soon. In Pokemon movie promotion, the interesting hint includes in the logo or poster sometimes. 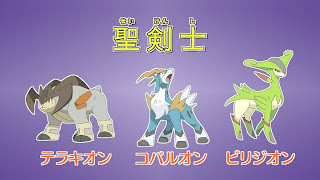 For example, there was a sign of Arceus appearing in the early promotion phase of movie 12. How is this time ? It is shown as follow. 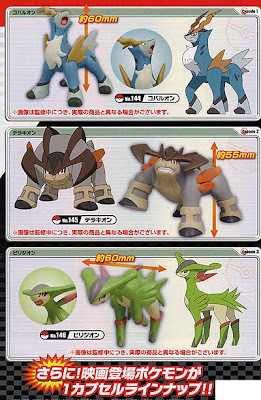 Color of Cobalion, Virizion and Terrakion's hone are including. Also red color of Keldeo's mane. 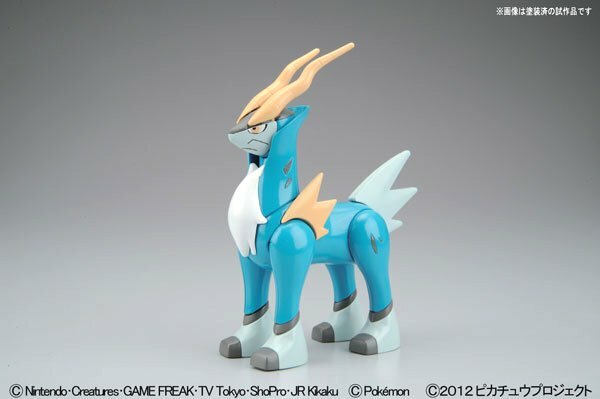 Probably we will see Keldeo soon. Pokemon TV show OhaSta today revealed title of Pokemon Movie 15th and aired 1st short (teaser) trailer. Keldeo has not announced yet. Official Site will update the content on 17 December 2011. Ash says 'That's the Sacred Swordsmen ?! '. 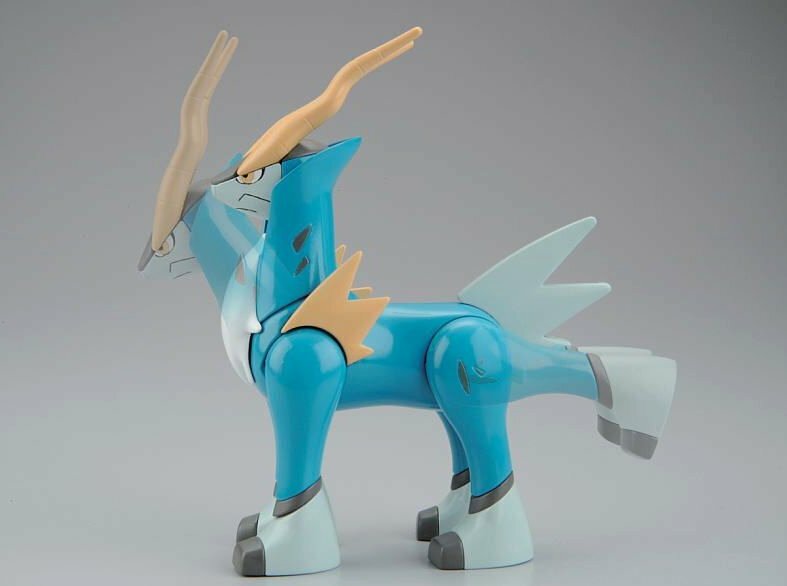 Then Cobalion Terrakion Virizion appear. Confirmed that Sacred Swordsmen are Cobalion, Terrakion and Virizion at the moment by Pokemon TV Anime aired on 8 Dec 2011. 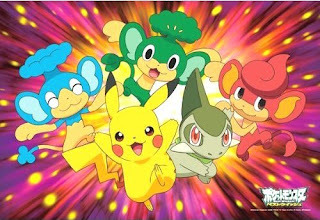 Today Pokemon TV show OhaSta announced 'Highlight of tomorrow show will be aired the latest & first info in the world'. Probably it will be the movie 15th. 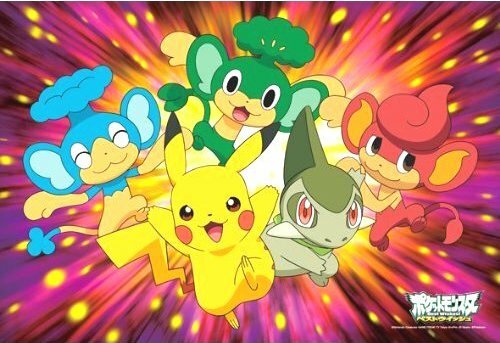 It is movie info according Pokemon movie official blog updating. So we will update it tomorrow. Updated title and 1st teaser trailer. 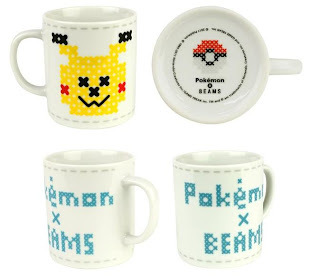 Pokemon Movie Official Blog : 7 December 2011's article. 3DS sales is going to be over 3M units in Japan. Nintendo will release the 3DS new game having an impact in a few months. Talking about 'Kid Icarus' or something ? No info on the title at the moment. 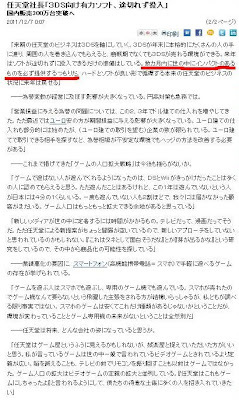 I checked Nikkei news in the real paper and electric, some info/sentence are omitted in the paper. Not sure English Nikkei news.The above article is based on the electric edition. 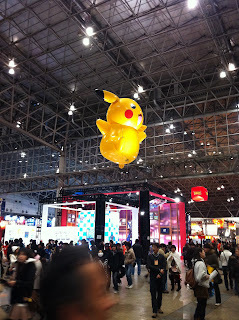 Pokemon Center Tohoku of The Pokemon Company has grand opened on 4 December 2011 in Sendai, Miyagi Japan. This region encountered with the large disaster in March 2011. 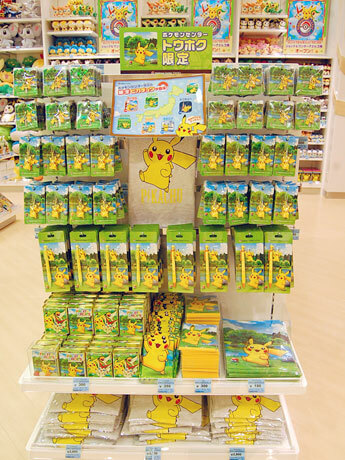 Pokemon JP has started 'Pokemon with You' campaign since March 2011. Activities are : window of donation for the victims, visiting to the evacuation place, coaching of friendship and thoughtfulness in the kindergarten/nursery school, produce charity items, inviting Pokemon movie 14th and so on. The details can be known in the report. The above new center is part of 'Pokemon with You'. 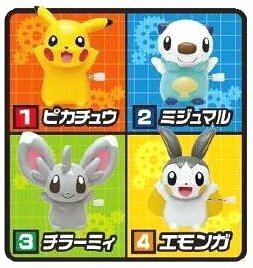 The following plushies are releases, Pokemon Center Tohoku limited version. Some more pics in YJ. 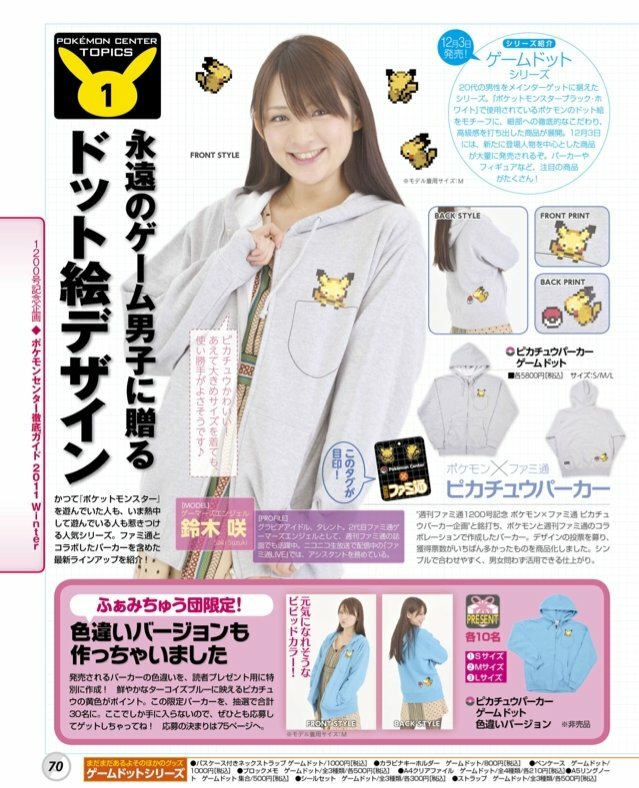 As we've reported on Pikachu Hooded sweatshirts, there is a turquoise blue color version (bottom one in the photo). Present for Famitsu readers to 30 winners. Send post card to Famitsu editors office, fill the name, your address, age, phone number, size (S/M/L) by 15 December 2011. Images are uploaded and replaced the following articles. 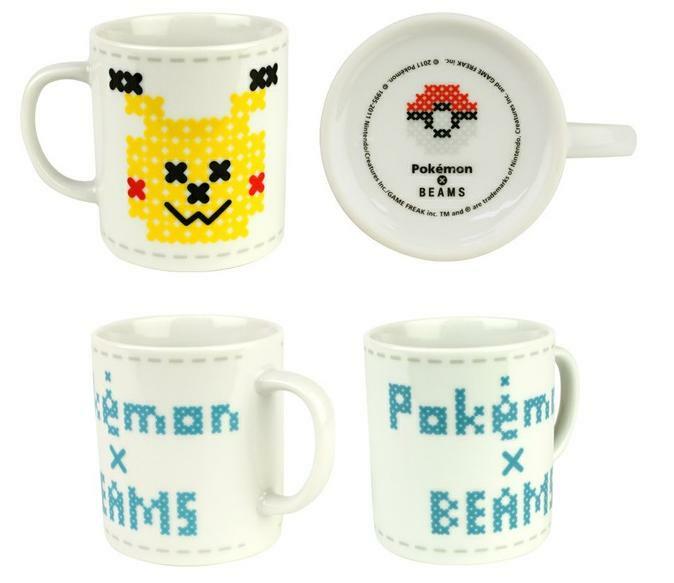 Pre-order will start at BEAMS Online shop on 2 December 2011 9pm JST. Only BEAMS stores will sell them in the middle of December 2011.